Not a day goes by in the gaming universe without someone in a position of power somewhere being scrutinized by the feds anymore, it seems. 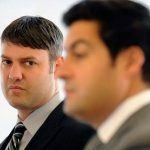 Now Cantor Gaming CEO Lee Amaitis is under the spotlight, according to the The Wall Street Journal, on the coat tail of colleague Michael Colbert – Cantor’s now released vice president of risk management – who pled guilty just last month to knowingly accepting illegal wagers. Of course, Anthony Weiner also vehemently denied he was still sexting, so there you go when it comes to denials of rumors. Accepting wagers from “runners” – people who place bets for an operation – is illegal in Nevada, where Cantor Gaming is headquartered. 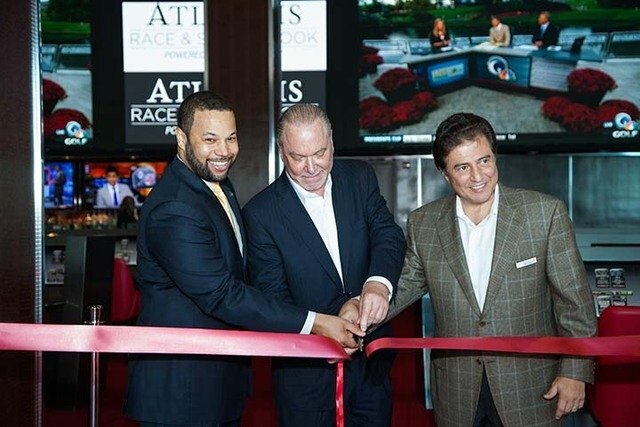 It would certainly behoove the sports book company to distance themselves from any further insinuations of illegalities, given that Amaitis just attended opening ceremonies for a new Cantor Gaming race and sports books at the Atlantis Casino on Paradise Island in the Bahamas. 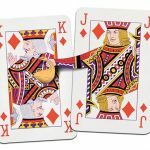 The company now has eight sports books in Las Vegas, operates the Palms Casino poker room, and offers mobile betting apps, along with the new Atlantis book, which is their first run outside of Nevada. Cantor Fitzgerald was quick to point out that no actual allegations of any wrongdoing by Amaitis have been made by authorities. Yet. 33-year-old former vice-president Colbert has already entered his guilty plea to a single felony charge of conspiracy in a New York federal courthouse (bet we can guess which one). According to court documents, he will receive sentencing Dec. 9, joining so many others who will be having a fun holiday in the joint from the wonderful world of gaming. 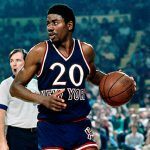 Colbert was picked up in a joint arrest two years ago, along with 24 others, when he was caught red-handed for his involvement with an illegal sports betting ring in Queens, NY. 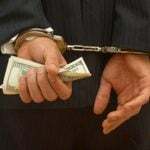 He originally was looking at eights counts of conspiracy, corruption and money laundering, but the Queens case was dismissed and the matter of his moving $100K in gambling profits from Las Vegas to New York was forwarded to the U.S. Attorney’s docket. Although the ex-veep’s attorney of record refused to comment, The Wall Street Journal reports that Colbert is “cooperating” in the Cantor Gaming matter; might that mean singing like a bird so he can fly free in December? Time will tell. To his credit Amaitis did reportedly aid in the rebuilding of parent company Cantor Fitzgerald after the September 11th attacks on the World Trade Center, in which the company lost about 2/3rds of their employees. Amaitis was in London at the time, heading up the business’s international dealings.